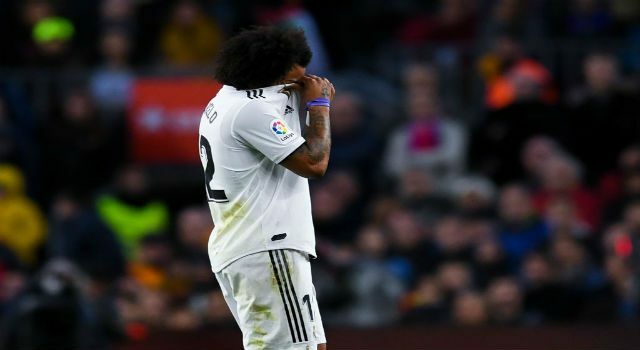 Real Madrid played the worst game of the season on Saturday at Ipurúa. Los Blancos were thrashed by Eibar (3-0), a small club from Basque Country that only five years ago didn’t even dream to play in La Liga. However, they started the game pressuring, choking Los Blancos, who were asleep, still thinking in the international break, the next clash in the Champions League or who knows why. This was the worst game of the season -and the ranking is very tough given the terrible games played so far-, but this is not something new. Since Zinedine Zidane was able to win La Liga title two years ago, Los Blancos haven’t found themselves in this competition. Last season, they finished 17 points behind FC Barcelona, something unacceptable. But the numbers are getting worse now. In the last 51 games in La Liga, Los Blancos have been able to win the 55% of them. So to say, they have won 28 games, with 12 draws and 11 defeats. In this time, FC Barcelona have got 21 points more. The main problem is the defense, having conceded 60 goals in this time, with Atlético Madrid conceding only 30. Luckily, the team was able to win another Champions League during this time, but it looks quite clear that the players are not focused in the everyday competition. At Eibar, players didn´t run, push or try even to win the game. Solari included the most important players in the line-up and they showed him that they didn’t want to play that game. At least, this season has been very tough in La Liga, and also FC Barcelona and Atlético de Madrid are being unable to get a good run of results. Sevilla are now leading the table with 6 points more than Los Blancos, who have only won 6 games so far, whilst 7 finished with a draw or defeat. Florentino Pérez has already changed the coach, should Solari change the footballers?